Usually I ski 3 days and then have a day off to let my legs have a rest. On ‘rest’ days I usually go walking which is more my métier. 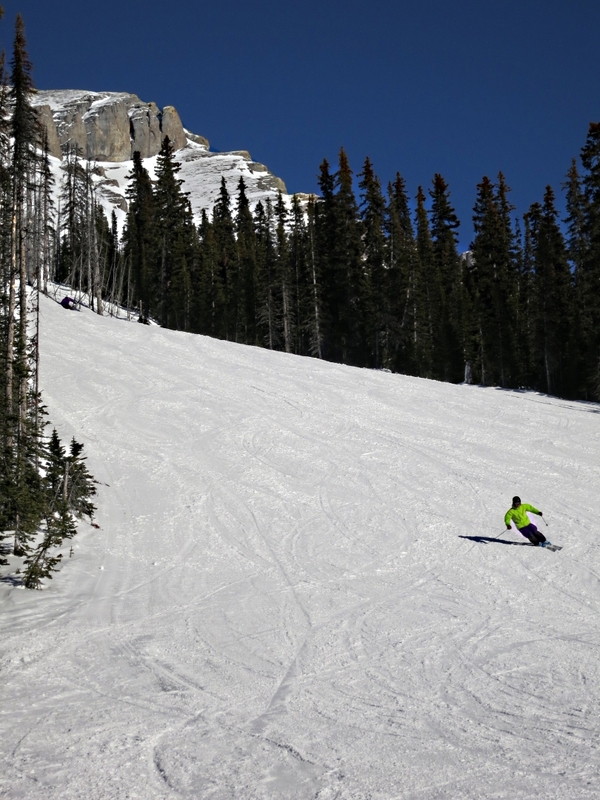 However, during the last week I skied 5 consecutive days. I tried to concentrate on improving my skiing technique but without much success. I also tried taking photos but again without much success. The reason for the lack of skiing success is simply lack of technique. The reason for lack of photographic success is down to the sudden plunge in temperatures. 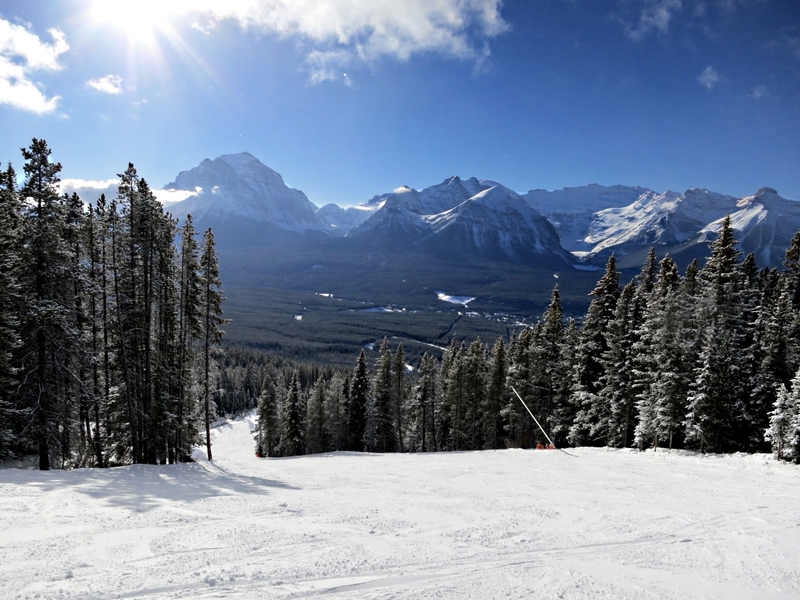 Morning temperatures in Banff have been below minus 20, colder on the ski slopes at significantly higher altitude. This not only plays havoc with my hands which need to be taken into the ski lodge to warm up at frequent intervals but also plays havoc with the battery in the camera. I keep the spare in a pocket in my mid-layer but fumbling around with zips and the battery compartment with fingers at best numb, at worst painful, makes change-over on the slopes impractical. Some morning it was so cold that on the higher slopes the air was filled with billions of tiny shimmering ice crystals. 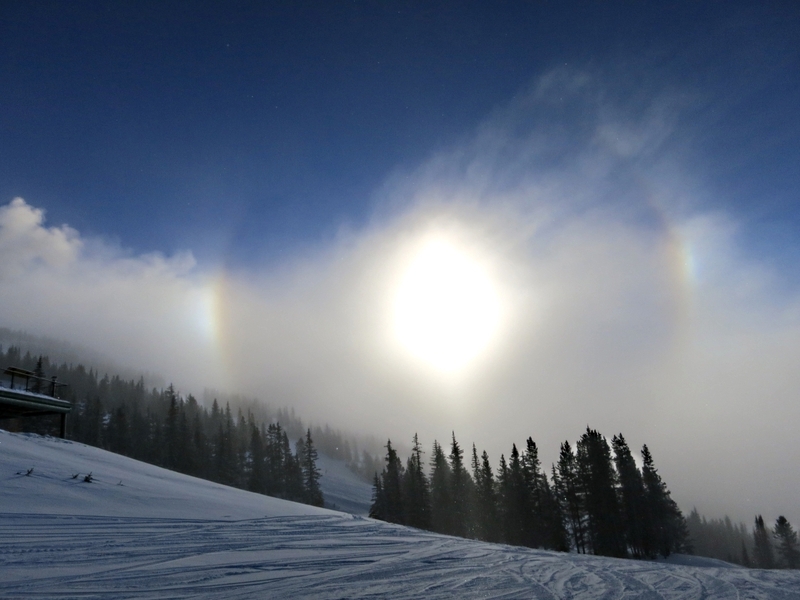 Thin bands of ice-cloud refracted like prisms with partial ‘icebows’ around the sun. I guess these were not proper ‘sun dogs’ which form in cloudless skies, have bright spots at the quadrants and often a shaft beaming downwards. But they were none the less dramatic. 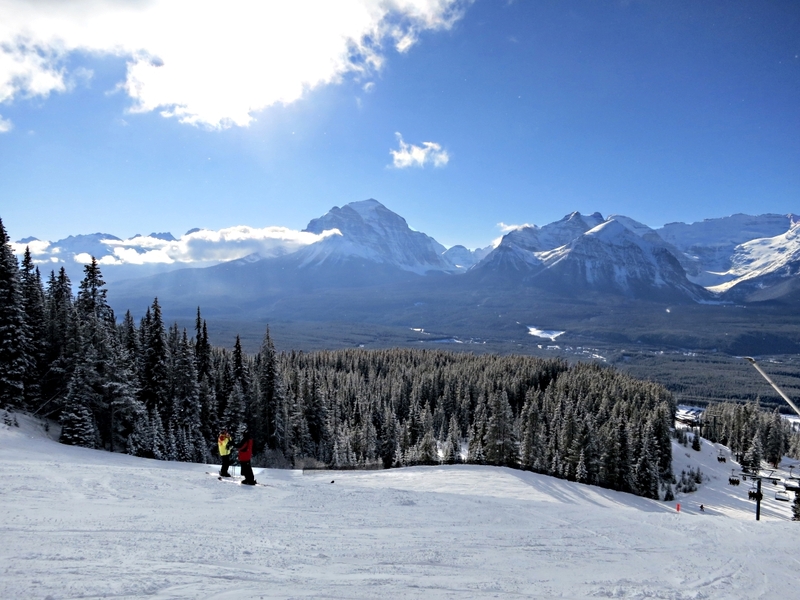 I have enjoyed the skiing and enjoyed even more being in the high mountains with blue skies enlivened by narrow bands of cloud but photographic evidence that I was there is scarce. 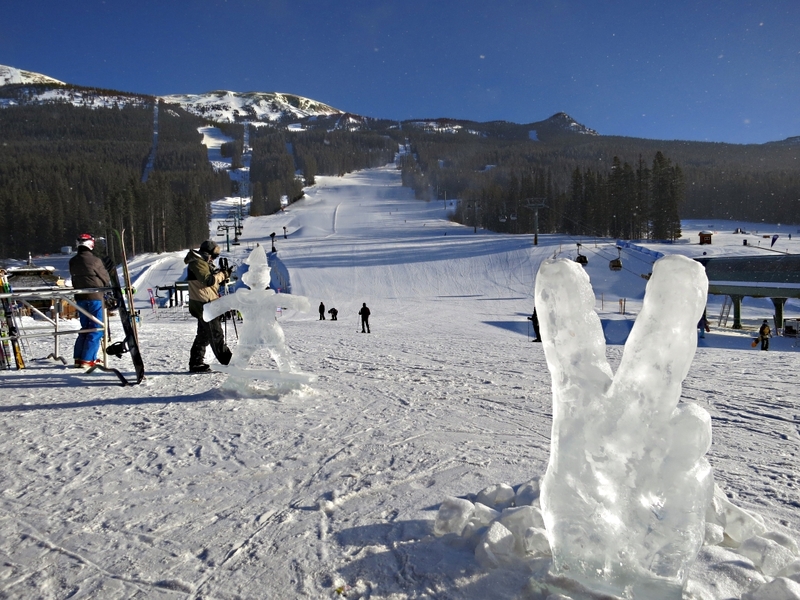 This entry was posted in Canada, Landscape, Mountains, Winter and tagged Banff, banff canada, canadian rockies, cold hands, icebow, skiing, snow sculpture. Bookmark the permalink. Missing the sandals Barry !! The contrast between sandals and ski boots couldn’t be much greater but given the conditions I wouldn’t survive long in sandals here. Hope things are well in Switzerland.